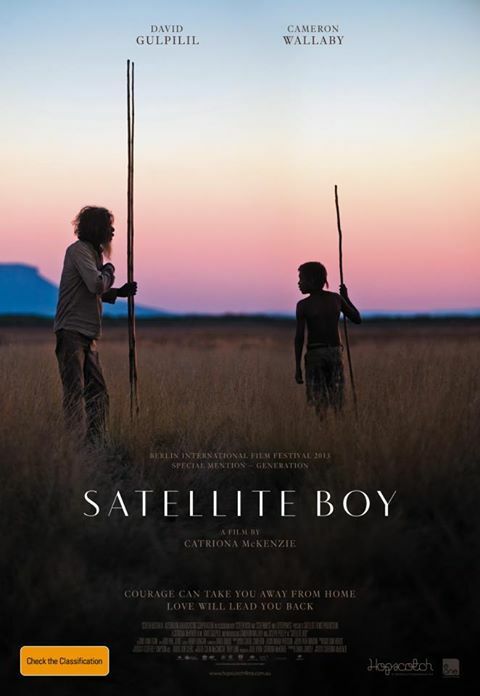 Catriona McKenzie's Satellite Boy is a case of good intentions limiting the possibilities of a film. This is unapologetically a coming of age story, where the young central character learns to fully embrace their indigenous heritage and survival skills, shunning the modern consumerist world. 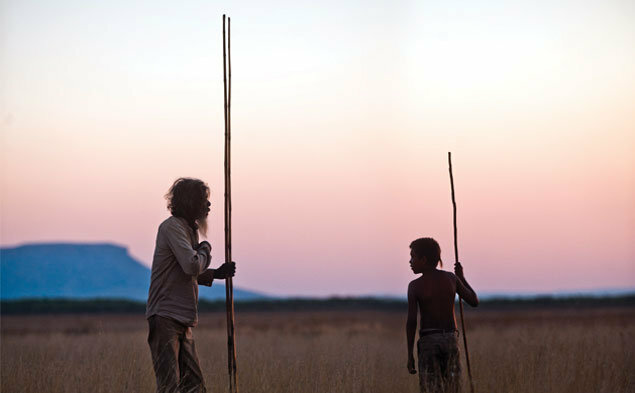 Where other films like Samson and Delilah have exposed the bleakness and nihilism of the outback life, this film is intended as a gift to Aboriginal communities and their belief in the Milky Way as a vision of heaven. Yet through this idealism McKenzie's film is also overly simplistic. It substitutes realism, detail and insight to uphold and prove its sentimental and conservative values. 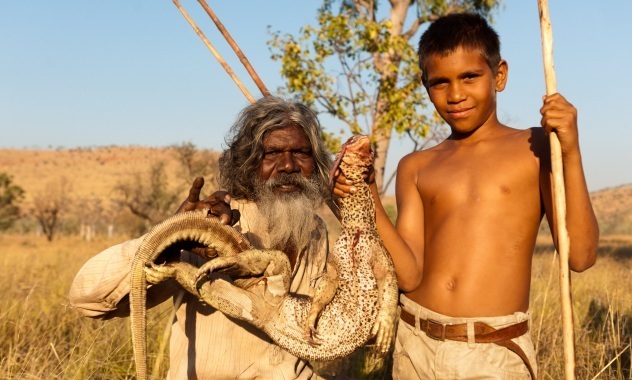 The film is about the journey of Pete (Cameron Wallaby), a young Aboriginal boy who lives with his grandfather Old Jagamarra (David Gulpilil) and is reluctant to embrace the ways of the bush. 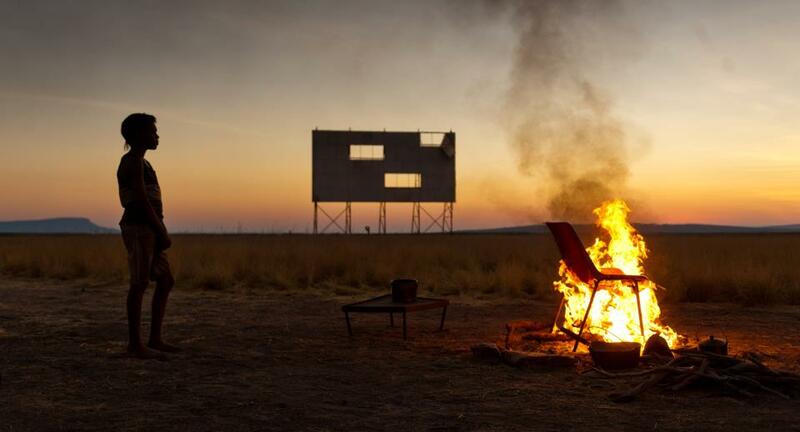 They live in the outback town of Wyndham in an abandoned cinema. When their land is threatened by a mining company Pete sets off to confront the manager of the company to try and stop them. He leaves his grandfather behind but is joined by the equally young and inexperienced Kalmain (Joseph Pedley). Together they have to use their outback skills to survive and find the company as they cross their desert. 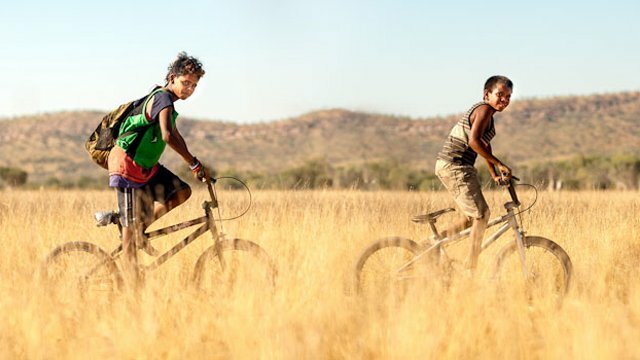 The film was shot in North Western Australian in the Kimberley region, which is rich in Aboriginal culture and listed as a world heritage area. Special permission had to be granted to film there, which accounts for why the film is highly sanitised. The film never weighs up the ramifications of this journey. Both Pete and Kalmain continually avoid tension and danger. They gather popcorn and water before the journey but never seem to be short of food because gathering food from a rock is sufficient. They don't suffer physically either from heat exhaustion because they're lucky enough to be able to find a river to cross. The most dangerous episode is when they find a loaded magnum handgun. Yet this also results in a positive outcome that foils the miners. The film is so chipper about the power of heritage and culture that it denies its own moral compass. What happens after Pete rejects the consumer life of his mother and stays in the outback? He disappears into the desert at the end of the film, which is allegorical for committing himself to the land. The reality though is that children need a balanced life. Understanding their heritage and who that makes them is invaluable and should never be forgotten. However, is schooling, friends and employment somehow less important? These are equally essential in building the character of any person, whatever their heritage or background is, but the film doesn't make a point of that. Similarly, the psychological damage of living in the outback is untested too. In recent years we have debated the racial boundaries of intervening into Aboriginal communities because of the number of documented cases relating to the likes of sexual assault and alcoholism. Satellite Boy doesn't have the psychological depth or bravery to explore and debate the pressing issues faced by self-governing communities and the impact on young individuals. Its content with being a beautifully photographed yet hollow movie, one that shields itself from ever being culturally insensitive but consequently weakens its own moral complexity.